When you have your first child, many women want the best of both worlds – stay home with baby and be able to contribute financially to the family, while working from home. This sounds like the ideal situation… that is, until you actually try to do the work with children present. If you don’t set a realistic tone for your work-at-home venture early on, this will turn into frustration fast. Set Reasonable Deadlines. Since you’re working from home, all or most of your work will be done online, which is super convenient. Make sure to choose the best schedules and deadlines that work with your family’s (read: your children’s) lives. Always build in a buffer for getting projects done when possible, in case of last minute emergencies, like sick children or snow days. Buy “Work Only” Toys. Depending on the age of your children (obviously outside of infancy), your children will understand the concept of special time and special toys. Buy them special toys for when you’re working. Only pull the special “work toys” out when you’re working and be sure they never play with them during non-work hours. Buy quiet toys, books, and educational tablets that will give you some uninterrupted time for calls and last minute projects. Set Realistic Expectations. Even though you are working from home, it’s important to lay some ground rules for your family so they take your business seriously. Explain to everyone that your work is just as important as a job outside the home, that it’s important to you and to the family as a whole, and that you’re going to need a realistic amount of time alone to get your work done and be productive. Set up a reward system for young children to help with learning the correct behaviors for when Mommy is working. For the first couple of weeks, praise the correct behaviors so they understand what you expect and where your boundaries are. Working from home is absolutely doable. The important thing is to stick to a routine as much as possible, set boundaries and expectations from the beginning, and don’t forget that your children are the reason you do this. Flexibility and understand are key to successfully working from home. 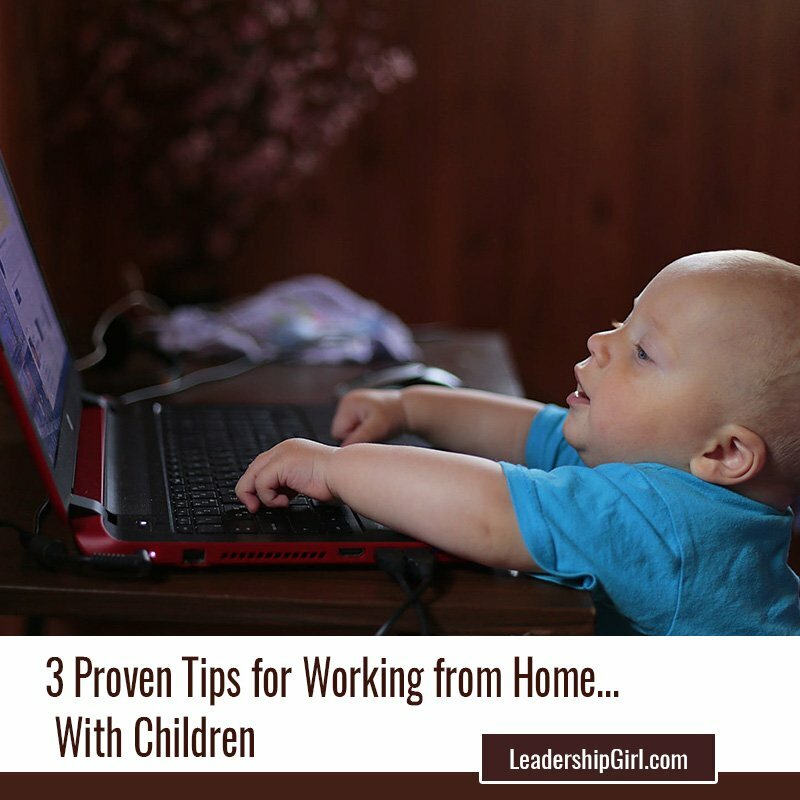 What other ways have you found keep your children entertained while you work from home? Share your ideas in the comments section below!